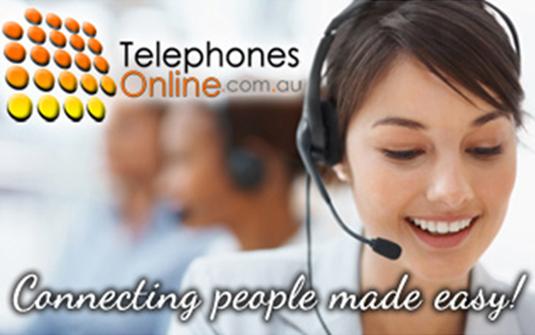 Telephonesonline is the largest online store in Australia. And that alone can tell you how extensive our portfolio offers. For small businesses with limited budgets, WE offer refurbished and used phone systems. This will provide small businesses the opportunity to acquire and use high quality communication system despite the restricting budget. And the wide variety of refurbished phones that we offer will give you a lot of options to choose from. For medium to large companies looking for avenues to use traditional PABX telephone systems as well as easing in to the digital world effortlessly, WE offer new VOIP and IP Phone Systems. We have the latest, advanced and most-trusted models and brands in the industry. Telephonesonline knows that we all have our own preferences and so have a large portfolio that could encompass all the possible inclinations that all users have. With Telephonesonline, WE have whatever you may need and so you won’t have to go anywhere but here. For businesses with very unique and specific needs, WE customise the perfect phone solutions. Customisation will not only help you be able to choose your ideal communication solutions but also save money since you will only need to pay for the exact solution that you need. This means that you won’t have to pay for something already built but for something exactly built for you. Rest assured, you will be provided with what you need and what you deserve. And when it comes to these services, WE are the experts in the industry. Being in the industry for more than 20 years now, WE know what to do and what your needs are. Our years of experience in the industry and our team of experts will help you feel more at ease with our services. With the NBN Network in existence, communications is established stronger in Australia, which you can make use of to your advantage. And with that, make sure to have the best phone systems for your business. You can visit our site in order to complete your purchase online. If you want another way to contact us, you can call or email us. We can deliver what you purchased wherever you may be in Australia, without any worry, one of which is our Melbourne office.